As counsel for a number of preeminent clinical laboratories and medical practices in the Southeast, our firm analyzes legal questions relating to the practice of client billing on a perennial basis. Based on our experience, we believe these inquiries have become commonplace as a function of two trends in particular: the growing desire for clinical laboratories and physicians alike to establish innovative and compliant business arrangements, and the perceived legal uncertainty that clouds the subject matter—the latter, in our view, stemming in large part from unindustrious lawyering. The purpose of this article is to provide health care attorneys with a practical analysis of client billing vis­à­ vis applicable law. and may refer to the laboratory, at their own discretion, specimens from patients who are insured by government­sponsored insurance payers, such as Medicaid or Medicare. The first and most important of these laws is the federal anti­kickback statute (42 USC § 1320a­7b(b)) (“Anti­Kickback Law”). The Anti­Kickback Law is a criminal statute that prohibits individuals or entities who knowingly and willfully offer, pay, solicit or receive remuneration in order to induce business payable by a federal health care business unless the arrangement is structured to fit within a regulatory safe harbor exception. Many states, but notably not Georgia, also have state law analogs that closely mirror the Anti­Kickback Law. Secondly, counsel should review any state laws that specifically address the issue of client billing. We are aware of no such laws in the state of Georgia. It is worth mentioning, however, that many other states, such as South Carolina and Florida, do have such laws on the books. (See S.C. Code Ann. § 44­132­50(5)). Finally, counsel (particularly counsel representing physicians and/or medical practices) should inquire as to whether client billing is permissible as a matter of private law—that is, under the terms of any “in­network,” “managed care” or other participation agreements clients may have entered into with commercial insurance companies. In this regard, it is important to note that the practice of client billing is presumably proscribed by Blue Cross Blue Shield of Georgia in light of certain commentary it has recently promulgated. The perceived legal uncertainty at hand has mainly resulted from too many health care lawyers summarily dismissing any client billing arrangement as a violation of the Anti­Kickback Law. This is frankly not the case. As a preliminary matter, we would be remiss not to mention that a violation of the Anti­Kickback Law requires intent, and further, that one does not simply violate the Anti­Kickback Law by failing to successfully invoke one of its many safe harbors or exceptions. To our knowledge, the Office of the Inspector General (“OIG”), the entity charged with enforcement of the Anti­Kickback Law, has commented on only one proposed clinical laboratory client billing arrangement. See OIG Advisory Op. No. 99­13 (Dec. 7, 1999). The arrangement analyzed in Opinion 99­13 involved an unquestionably suspect fact pattern whereby a laboratory was planning on charging physicians below the actual cost incurred by the laboratory for the provision of testing services, ostensibly in exchange for and, as an inducement to receive, the referrals of specimen tests covered by government ­sponsored payers. In our opinion, health care counsel should be able to adopt compliant client billing arrangements that steer far away from this form of “swapping discounts” so long as laboratories do not bill government sponsored payers at an amount that substantially exceeds the amount charged to physicians, and laboratories do not charge physicians illusory prices for such services. Another aspect of a client ­billing arrangement that must be considered is the testing service itself. Those states that have, unlike Georgia, prohibited or otherwise questioned the practice of client billing in the laboratory space appear to have focused on pathology testing services, which unlike clinical (toxicology) services, are concerned with the diagnosis of diseases and thus capture both technical and professional components. This is likely why the aforementioned South Carolina statute explicitly excludes clinical laboratory services from its purview. Client billing arrangements in the context of clinical laboratory services are complex by their very nature, given the number of laws potentially implicated as well as respective clients’ competing interests. This should not, however, encourage health care counsel to dismiss client billing arrangements altogether. We hope that our suggestions ultimately facilitate a more critical analysis of client billing arrangements in the context of clinical laboratory services. 1 This article intentionally does not opine on the federal patient self ­referral law, commonly referred to as the “Stark Law” (42 USC § 1395nn). This is because the Stark Law essentially addresses a physician’s financial interest in/with the party that receives the referral. 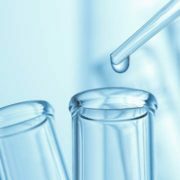 Under a client billing arrangement, providers have no financial interest in the laboratory, as such term is defined under Stark. To the contrary, the providers remit fees to the laboratory.